Thanks to our partner Ocean Spray for sponsoring this post. Content and opinions as always, are my own. Do any of you ever feel overwhelmed with the weeks leading up to the holidays? Somehow our calendars have a way of becoming full, and while it’s all positive and exciting, I need to streamline Thanksgiving planning and preparations as much as possible. 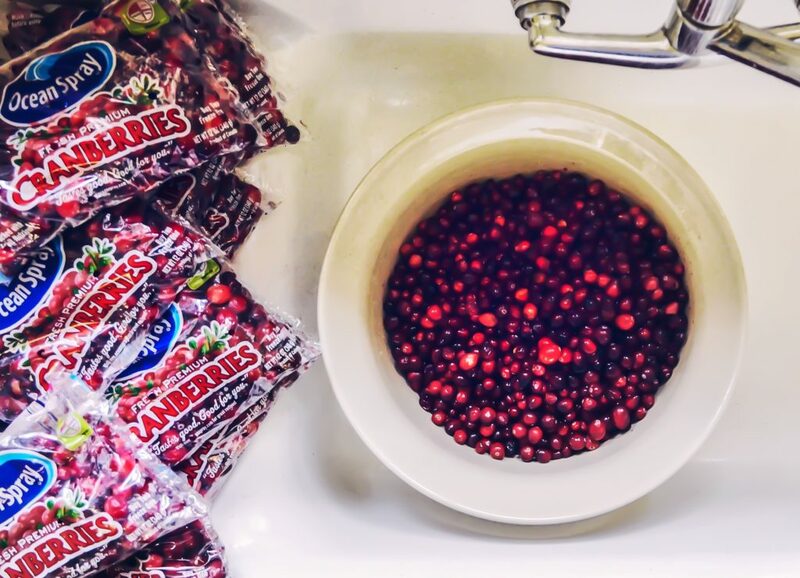 My recent experience at Ocean Spray’s #AskCranma event inspired me to get creative with cranberries with everything needed to make that first Thanksgiving-hosting experience a memorable occasion. From fresh floating mini-cranberry-bogs to lavish centerpieces – you can add a seasonal touch of vibrant cranberry to elevate your Thanksgiving décor with the help of Ocean Spray® Fresh Cranberries. I enlisted the kids in this simple project because they are always looking for ways to help! 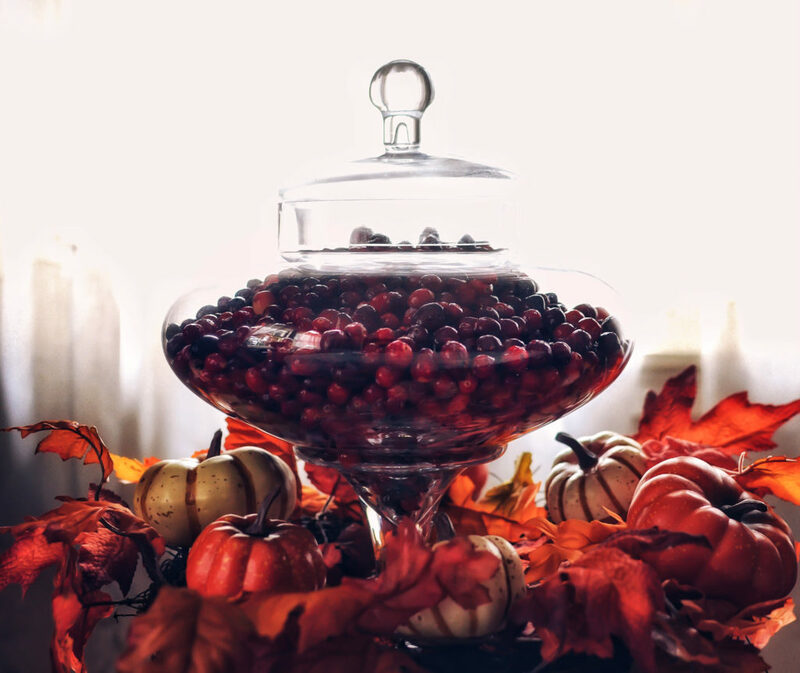 Alongside little eager hands, several of my favorite apothecary jars in various sizes and shapes were filled to the brim with Ocean Spray® Fresh Cranberries to function as a centerpiece for the Thanksgiving table – and as décor in several areas throughout the home. A collection of seasonal odds and ends were added to the mix, to create a T-day vibe throughout the space. There are so many different ways to get creative with cranberries! 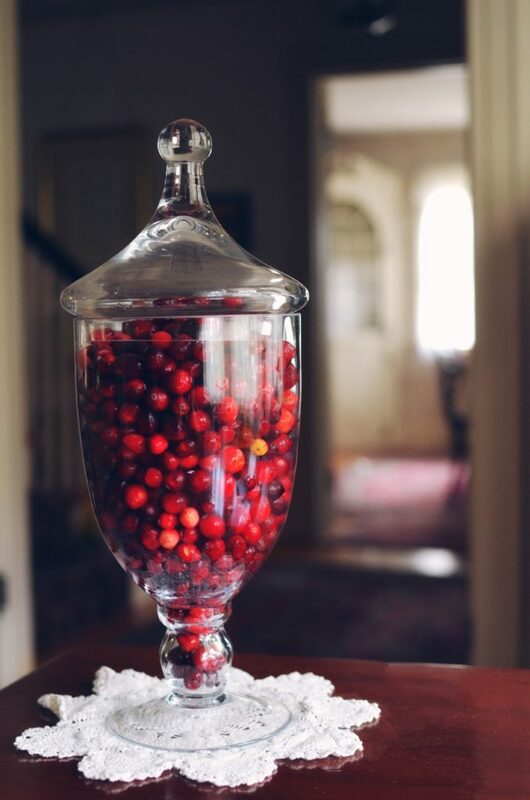 Clear vases of flowers can also be filled with cranberries to hide floral stems while creating pops of color. 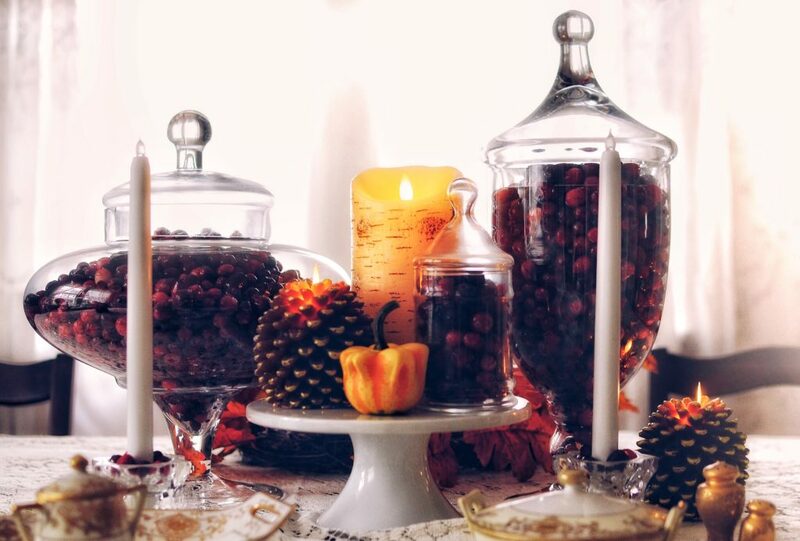 And clear cylinders filled with a bit of water and cranberries can be topped with votive candles to adorn a mantle. I went for a super time-efficient hack to weave a special Thanksgiving feel to our gathering. 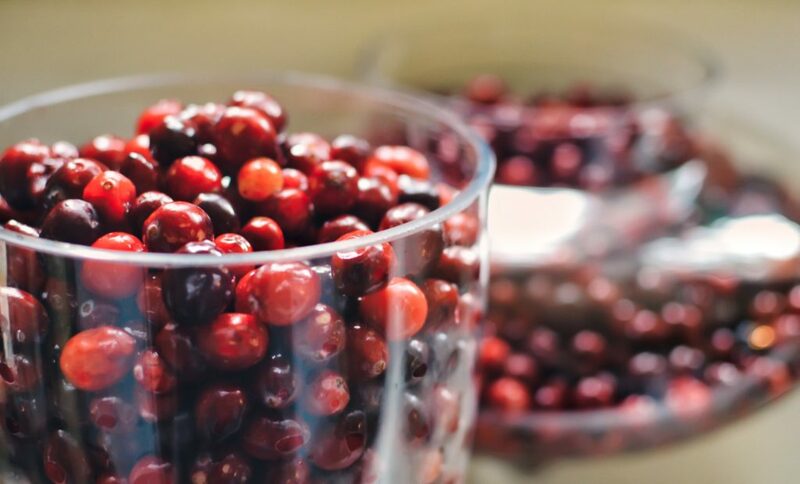 Best of all, cranberries can be mixed with evergreen and other touches to carry a bright red festive color into December. Thanks so much to Ocean Spray for the inspiration! Find other recipe and DIY hacks here. Wishing you a beautiful celebration filled with meaning, good food, and family! Sponsorship provided by Ocean Spray. Thanks for reading! Content and opinions, as always, are my own. 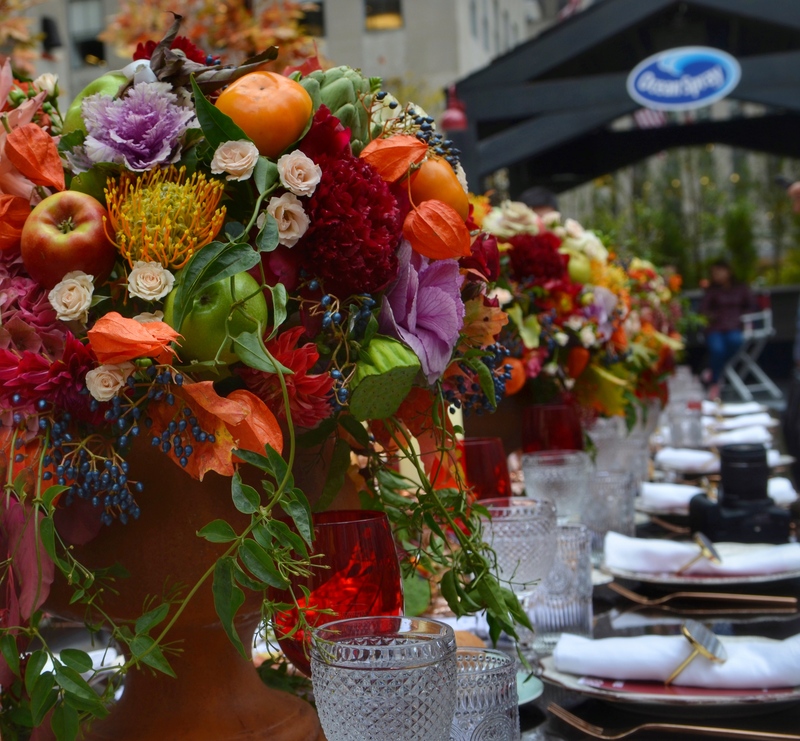 There’s nothing like ushering in November with a trip to Rockefeller Center® to wade and dine in a 1500 sq. ft. fresh cranberry bog, while getting whipped into Thanksgiving-hostess-extraordinaire shape by a team of Ocean Spray Grandmas, AKA CranMas. 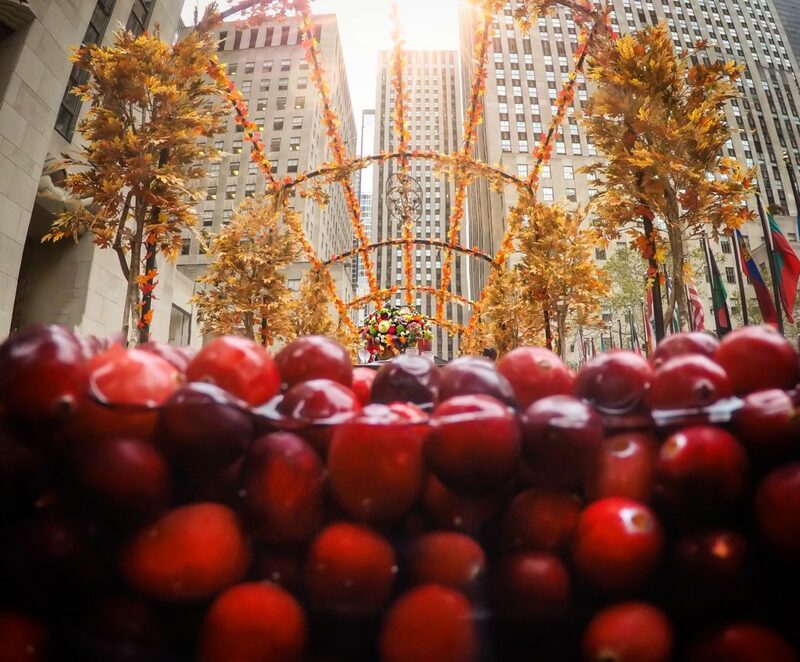 As part of Ocean Spray‘s #ASKCRANMA event, a team of Thanksgiving-feast valedictorians (yup! The Cranmas who happen to be multi-generational Ocean Spray farmers) schooled me alongside other writers with hands-on instructions and no-nonsense first-time Thanksgiving hostess advice – to ensure that our holiday goes off without a hitch. 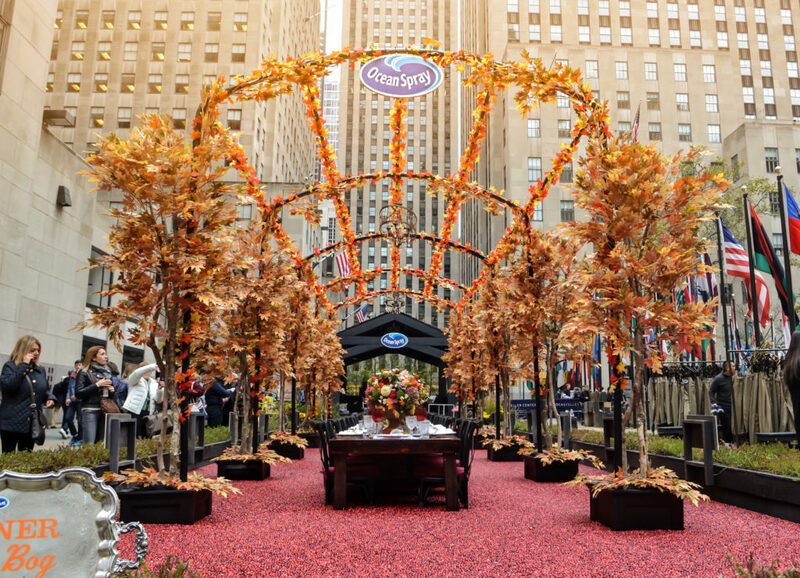 This is the 13th year that Ocean Spray has brought their iconic 2,000-pound fresh-cranberry bog to Rockefeller Center®, and it was a true treat to attend again (this time solo!) – catch last year’s fun with my kiddos here. As someone who knows that I’ll never match the level of Thanksgivings dinners produced by my mom and mother-in-law – I nod my head in understanding over common fears discovered in a recent Ocean Spray survey. Not cooking the Turkey properly (under-cooking or burning). Not being able to live up to their parents or grandparents Thanksgivings (hello, yes!). Forgetting something (important ingredient, etc.). Disappointing guests and not having them enjoy the meal. The team of CranMas is helping to squash these fears with their tried-and-true advice. Best of all? They’re dedicated to helping you! Now through Thanksgiving Day, first-time hosts (and others who want advice!) can access Facebook Chat to talk to Ocean Spray’s virtual CranMa AKA the Cranbot in real-time! I was all ears amongst CranMa Sue, Mary Ann, and Diane, as they dished out expert advice. I’m hanging on to CranMa Mary Ann’s simple yet wise words, “Thanksgiving is a time to be together and you should never lose sight of that”. Do as much as you can ahead of time (cooking and setting the table)! Set the scene with beautiful and simple holiday hacks including a napkin ring made out of Ocean Spray® Fresh Cranberries. Welcome guests with a themed-cocktail (try Ocean Spray® Cranberry Juice Cocktail, Vodka, and Cassis. And delight the kids with a glass of Ocean Spray® Cranberry Juice Cocktail). Most importantly, remember to focus on the togetherness and meaning of the day. Everything doesn’t have to be perfect! Ocean Spray cranberry products can help to set the scene and are a healthy and delicious component of Thanksgiving meals, sides and drinks. 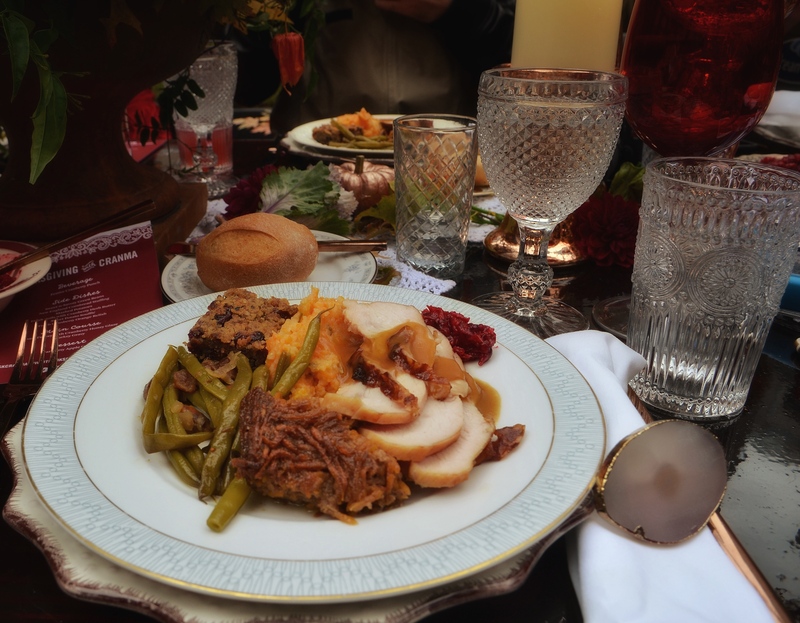 You better believe that I plopped myself right into the cranberry bog -waders and all – to indulge in a pre-Thanksgiving feast! Everything was beyond delicious from the meal to the stunning decor. First -time Thanksgiving host? Have questions on how to make your dinner perfect? Don’t forget to ask CranMa your pressing questions and chat with “her” anytime! Happy hosting friends!